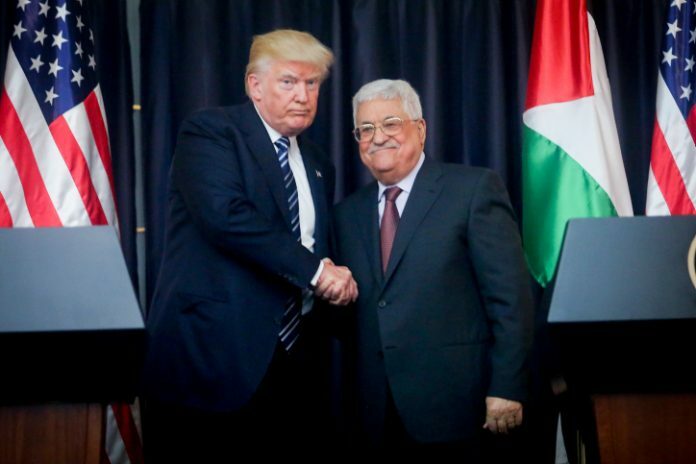 President Donald Trump’s administration is expected to soon unveil new policy that will cancel the Palestinians’ demand for “right of return” for its refugees and the refugees status of most of the Palestinians classed as such by the U.N. Relief and Works Agency, Hadashot News reported Saturday evening. The report said that the new policy, slated to be introduced at the beginning of September in a few phases. First, a U.S. report on the number of Palestinians to be defined as “refugees” will be published. The report is expected to declare that there are 500,000 refugees, approximately one-tenth of the UNRWA figure on the number of Palestinian refugees. The U.S. is also expected to reject the UNRWA definition of refugee status, which is inherited by the descendants of the Palestinians who left Israel in 1948, inflating the number of Palestinians classed as refugees worldwide, many of whom have never even seen the land in Israel or the Palestinian territories where their parents, grandparents, or great-grandparents lived. The rejection of the UNRWA definition of Palestinian refugeedom is also slated to include a cut off of funds the U.S. supplies to UNRWA in Judea and Samaria. Moreover, according to Hadashot News, the Trump administration plans to ask Israel to reconsider the mandate it gives the UNRWA to operate in Judea and Samaria, thus ensuring that Arab countries will not be able to take the place of the U.S. in funding the organization in those areas. Last month, a number of U.S. congressional representatives demanded that the State Department publicize a report detailing the precise figures on the number of Palestinians who became refugees in the 1948 War of Independence. Sources who have seen the report say that the State Department’s assessment was that only 20,000 of the 700,000 Arab refugees who fled Palestine during the War of Independence are still alive and displaced from their homes. The report was compiled and classified during the administration of former President Barack Obama. The lawmakers said the report would demonstrate that the number of Palestinian refugees is much smaller than the 5 million figure cited by UNRWA.